By now, you probably know that Facebook is the biggest social media platform around. Its 1.49 billion monthly active users make it the perfect space for small businesses in need of valuable exposure. Once your business is present on Facebook, you have to think of ways to maximize your views or let people know that you’re there. You can do this with a social media strategy, by actively sharing interesting content and slowly building your audience or by using Facebook Ads to catapult your page. The good news is that you can get good results on Facebook Ads even if you have a very small budget! 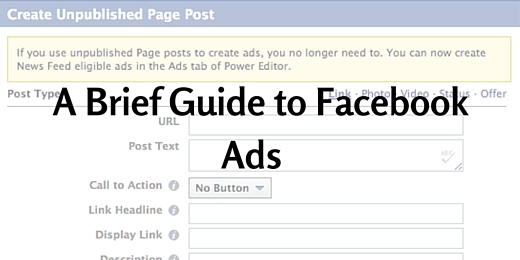 In today’s post, I would like to share a quick overview of Facebook Ads as well as some tips to use them successfully. 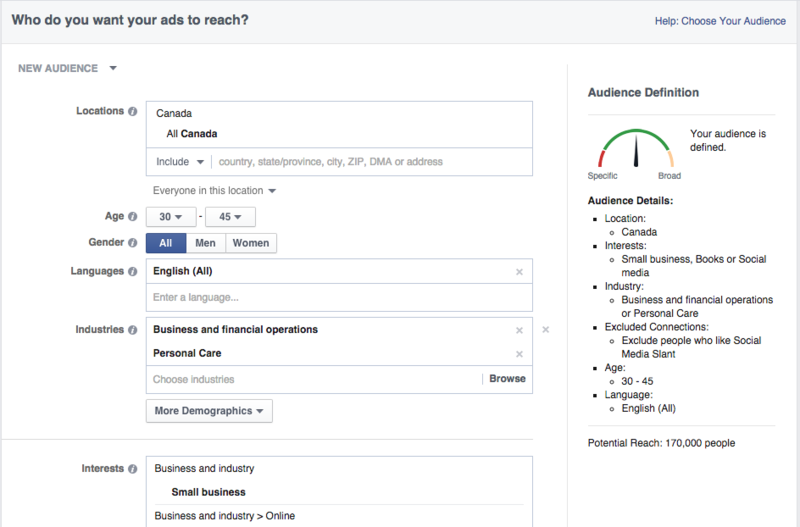 Facebook Ads let you launch targeted campaigns to reach relevant audiences. While anyone with a Facebook account can create them, it is better to attach them to your Page. The exact audience who will see your campaign. Targeting options include location, age, gender, interests, language, relationship, education, work, generation, life events, behaviors and connections. You will also need to specify where you want the ad to appear — in the news feed (mobile and desktop) and / or in the right column (desktop only). With Custom Audiences, you can reach current customers by uploading their email addresses and phone numbers to Facebook, or by using Facebook user IDs (from mobile apps only) or mobile advertiser IDs. You need at least 20 people. Lookalike Audiences allows you to find people who are similar to your customers to increase conversions. Finally, with Custom Audiences from your website, you can target your ads to reach visitors of your site. There are several ways to create an ad: by boosting posts; by clicking the “Promote” button to the right of your Page’s banner; and by visiting the Ads Manager or the Power Editor. 1. Page Post Engagement – Looking to increase the reach of your photos, videos, or text? Just click the “Boost Post” button under your posts to get started. 2. Page Like Ads – This is the type to use when you need to increase the number of subscribers to your Page. 3. Events Responses – Do you need to attract more potential participants to your events? This is the ad format for you. 4. Carousel Ads – Select this option to promote multiple products. You can use three to five images within one ad unit and direct people to specific locations on your website. 5. Link Ads – This format comes with the ability to add a call-to-action and encourage people to take action once they are on your website. 6. Local Awareness Ads – This option is perfect for local businesses or mom and pop stores. Note that it is only available in some countries and for the news feed (mobile and desktop). You can also include a call-to-action. 7. Offer Claims Ads – These ads allow you to promote discounts and deals that people can claim in your store. 8. Video Views Ads – Ready to launch a product soon? What about behind-the-scene footage or customer stories? You will want to use this format. 9. App Ads – These ads are for applications on Facebook. They also come with a call-to-action button. 10. 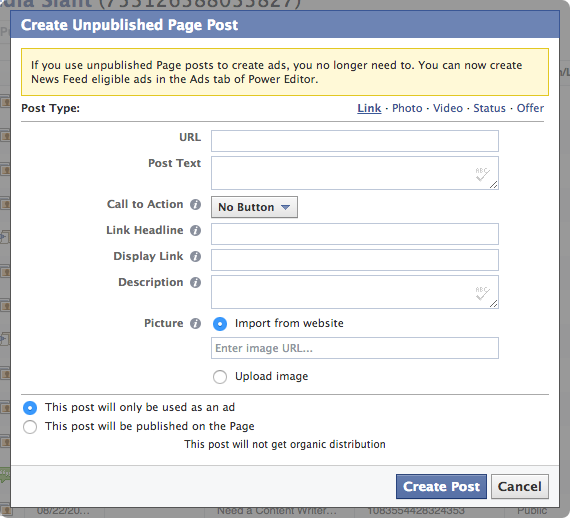 Unpublished Page Posts – This feature is for news feed-only campaigns. They will not appear in your Page’s Timeline. Creating and launching an ad is quite easy. However, to get positive results, you have to do things right. Here is a list of basic tips to help you get on the right track. Target your audience carefully – Start by taking a look at your Page’s audience via Insights. Information includes age groups, locations, and languages spoken. If you need more data like lifestyle, education levels, interests, and purchasing habits, check out Audience Insights. Set up realistic goals – Remember that Facebook users want answers to their questions and be entertained. If you are trying to reach people who do not know your business yet, an ad for a product may not be the right choice. You are better off with an invitation to sign up for a webinar or a newsletter, for example. Read the Facebook Ad Guidelines – Before your ad can run, Facebook will review it to ensure that it doesn’t break any rules. For example, you cannot use the Facebook logo or images with text that covers more than 20% of the image’s area. For more information, click here. Know size and text limits – Images should be 1,200 x 628 pixels. Headlines, link descriptions, and text are limited to 25, 30, and 90 characters respectively. Boost posts as a starter – This is a great way to figure out how Ads work and see the kind of results you can achieve. Use videos – Facebook tends to give priority to this content format in the News Feed. Also, videos rake an incredible 4 billion daily views, 75% of which occur on mobile devices! Test several versions for each ad – A simple image, headline, or text change may go a long way. Use calls to action – According to WordStream, adding a CTA button can lift your click-through rate 2.85 times, especially if you use the phrase “learn more”. Monitor your ad’s performance with the Ad Report – Once Facebook has accepted your ad, keep an eye on how it is doing via Ads Manager. Pay special attention to metrics like conversions, reach, and click-through rates. Finally, don’t go overboard – People hate ads and won’t hesitate to hide or report yours if they appear too frequently in the News Feed. As a result, the visibility of your posts will suffer. So, only advertise when you have a good reason to do so. 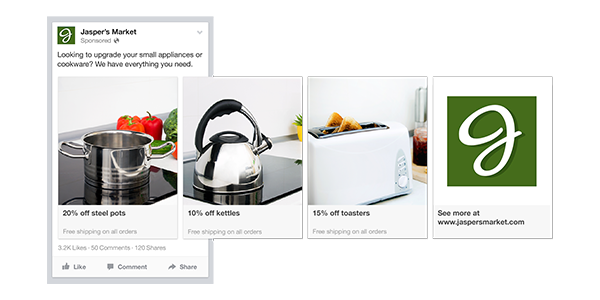 Great introduction to Facebook ads. 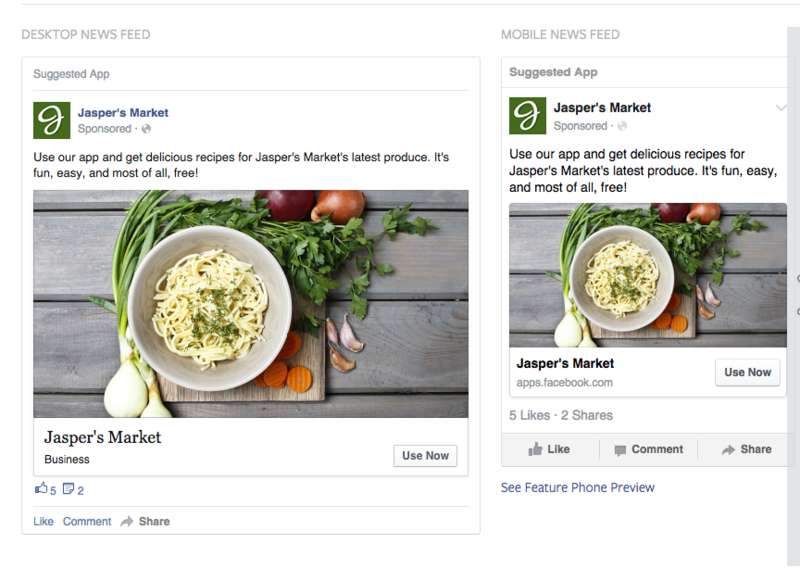 We have found that the newsfeed performs much better for most types of ads than the right column. 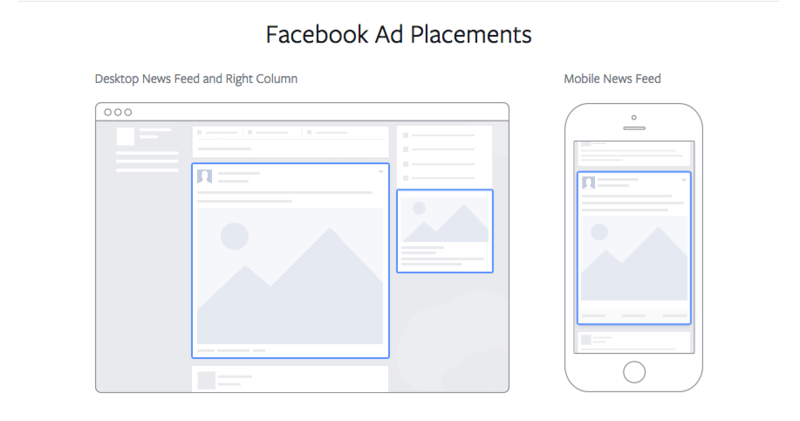 I understand this was a bigger picture view of all the possible choices for Facebook ads (and a darn good one at that). I’d personally encourage people to focus on the news feed.